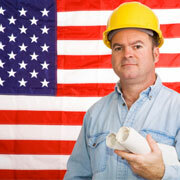 Reshoring remains a hot trend among U.S. businesses. In June, the Reshoring Initiative reported that the United States outpaced Canada and Mexico between 2010 and 2014 in bringing back the most jobs to domestic soil. In the summer months, we celebrate American independence and ingenuity. Another way business owners can show patriotism is to consider whether it makes sense to bring their offshore business back to the United States. In many cases, “reshoring” can be a wise financial and strategic choice. Have You Heard about Patent Boxes? Lawmakers have been looking for ways to preserve the domestic tax base and discourage corporate inversions by U.S. companies. One idea they’re considering is called a patent box, which is already available in several European countries. If approved by Congress, these tax-saving vehicles would offer qualifying companies a lower tax rate on income generated from patents and other intellectual property held in the United States. In turn, patent boxes would make U.S. locales more competitive from a tax standpoint, thereby reducing the financial incentives for U.S. businesses to move operations to overseas tax havens. Senate Finance Chairman Orrin G. Hatch, House Ways and Means Chairman Paul D. Ryan and U.S. Treasury Secretary Jacob J. Lew are working through the details of establishing patent boxes in the United States. While patent boxes could be an exciting development for U.S. manufacturers, they could also be challenging for the IRS to regulate, especially as Congress continues to cut the IRS budget. Stay tuned for latest developments on patent boxes and other types of international tax reform efforts. It’s also a hot topic among manufacturers, according to data reported in June by the Reshoring Initiative, a nonprofit organization committed to bringing back U.S. manufacturing jobs. It reports that the United States outpaced Canada and Mexico between 2010 and 2014 in reshoring jobs. This trend shows no sign of slowing as the reasons for doing business domestically continue to grow — and the financial incentives to seek greener pastures offshore continue to diminish. Perceived quality and delivery issues with goods and supplies manufactured offshore. In addition, businesses and consumers increasingly prefer products with the Made-in-America label. Bringing jobs back to the United States helps support local communities and creates goodwill with customers. According to the Reshoring Initiative, transportation and electrical equipment manufacturers accounted for most of the reshored U.S. jobs from 2010 to 2014. Companies in these types of advanced technology industries are often especially drawn by the pool of skilled labor and speedier response times that are available in the United States. High-profile examples of companies that reshored jobs in 2014 include Walmart, which reportedly reshored 4,444 jobs, and Ford Motor Company, which brought back 3,250 jobs from Mexico and Japan. Caterpillar and General Electric also each brought back 1,900 manufacturing jobs in 2014. Once Fortune 100 companies start reshoring and demonstrate how it builds shareholder value, smaller businesses often follow their lead. Reasons reshoring is particularly strong in the South include comparatively low state tax rates and employer-friendly right-to-work laws, which reduce the bargaining power of unions. Companies that reshore need to tread lightly when claiming a product is Made in America. Your company can’t legally make that claim unless it complies with strict Federal Trade Commission (FTC) standards. Basically, if a company wants to claim a product is American made, final assembly must take place here and the majority of total manufacturing costs must be spent on American parts and processing. Is Reshoring Right for Your Business? For some businesses, using offshore manufacturing sites and suppliers continues to make sense financially or strategically, especially for manufacturers that rely on less-skilled workers or multinational companies that serve customers overseas. The decision to operate offshore or to reshore is complex and involves numerous quantitative and qualitative factors. Relying on gut instinct or simply “following the industry leader” can be risky business. Contact your legal, financial and tax advisers to help determine whether reshoring makes sense for your specific business. If so, your team of advisers can also explore state economic development incentives to find the most advantageous place for you to resume business in the United States.